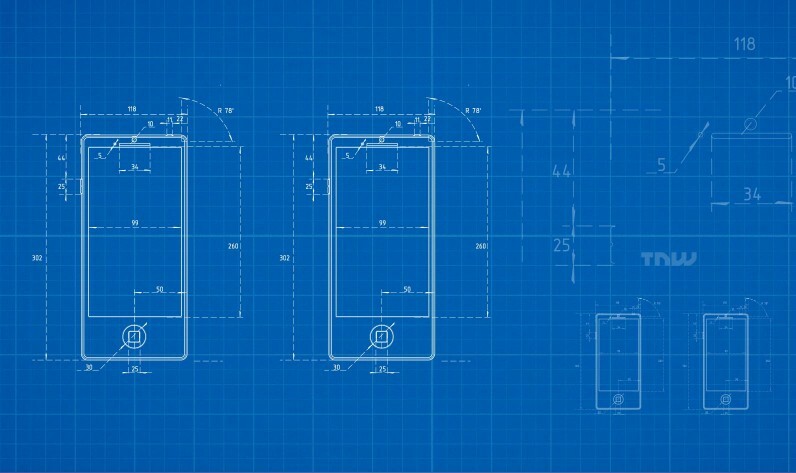 This week, the US patent office issued 6,513 patents. Each patent adds a little something new to the human knowledge base. As we cannot list all six thousand, the PatentYogi team has selected the five most interesting patents. Some of the most stressful and life changing decisions that we need to make are related to our careers. Therefore, many people take help from career counselors to figure a career path that would be best for them. Career counselors are professionals who map a persons skill set and interest with various available career paths. LinkedIn being a network for working professionals has data about career paths taken by a huge number of people across the world. This week LinkedIn filed a patent application for a computer based virtual career counselor that leverages this information and provides career counseling to users based on a data driven approach. Accordingly, a LinkedIn user may identify a goal position such as a job that the user wishes to have at some future time, or a desired college degree. Based on this, LinkedIn will automatically identify role models who have held or currently hold the goal career position. Thereafter, it determines trends associated with these role models. Such trends include job titles, college degrees, skill sets, volunteer efforts, a ranking of companies that employ these role models, a ranking of colleges that have granted degrees these role models, a fraction of the role models that have published within a recent time frame, and a fraction of the role models that have filed patent application within a recent time. For example, a user’s current position is Programmer and the user’s goal position is Chief Technical Officer. If 40 percent of the computer-selected role models moved from Programmer to Senior Programmer, 30 percent of the computer-selected role models moved from Programmer to Project Manager, 20 percent of the computer-selected role models moved from Programmer to Engineer, and 10 percent of the computer-selected role models moved from Programmer to other jobs, then LinkedIn determines that Senior Programmer is the next career position to be recommended to the user. Tsunami warnings have typically been communicated to individuals through television or radio media. Recently, comprehensive tsunami alert systems have been developed that utilize sirens and even text messaging to cell phone users. An oncoming tsunami is detected by open ocean tsunami sensors. Detection by the sensors can involve checking the varying pressure of water as waves pass overhead. Once the tsunami sensors in the ocean are triggered by an oncoming tsunami, the sensors transmit the ocean data in real-time to a tsunami monitoring agency. The monitoring agency receives data from multiple observation sources at sea. Accordingly, it runs computer simulations to predict the intensity and path of the oncoming tsunami. Specifically, the tsunami monitoring agency determines zones of danger. Then, warning messages are transmitted to people in the zones of danger (for example, via a smartphone application or SMS). Then, the smartphone application displays navigational instructions in the direction of the shortest safest path to get out of a zone of danger based on a user’s current geographic location. The navigational instructions may also be sent via SMS. Disney has taken the quote “You can judge a man by his shoes” far too seriously. So much so that it has patented a technology that judges visitors to Disneyland based on what they are wearing. But it’s all for good. With this technology, Disney intends to identify and track its visitors based on their footwear so that it can provide a more customized experience to visitors. As a person enters a theme park, cameras and sensors capture images of the person’s shoes. Visual features such as color scheme of the shoes, brand and model of the shoes are identified. Sensors placed in the ground also capture shoe size and tread design that provide more details about the shoes. Once this is done, the system associates personal details such as name, interests, etc. with the shoe characteristics. Later on, as the person moves around in the theme park, cameras and sensors located in the ground capture images of the shoes and readily recognize the wearer. By knowing what the interests of the person are, a customized experience may then be provided, like presenting a particular media content. In other words, this technology literally follows the person’s foot steps and ensures that no matter where the person is within the theme park, a customized experience is provided. And that’s not all. Depending on what you’re wearing, this technology is also designed to compliment you on your shoes! As compared to current invasive methods, such as retinal and fingerprint identification, to acquiring guest information, the patented method provides a non-obtrusive method to identify guests. Digital cameras and camera phones are increasing being used more and more to capture and store both still digital images and video clips. These devices also include a color display, which is used to display captured images and videos. Often, users face a situation when the power level of the camera devices is low, so they are unable to capture images or videos. Apple plans to provide two camera modes with its smart devices – a normal image capture mode and a low-power image capture mode. In the normal image capture mode, as images are captured, the captured images are displayed on a display. In the low-power image capture mode, power is not supplied to the image display in order to conserve battery power by not displaying images on the image display. The low-power image capture mode can also be used when the digital camera is mounted (e.g. to a bike or another moving device) as the user is not in a position to view the image display, so providing images to the image display is wasteful. Before you kickoff with a celebratory dance imagining drones delivering weed to your doorstep, no we are not talking of America’s most wanted plant. In fact, we are talking about unwanted plants. Staying loyal to the trend of new applications for drones almost every day, inventors have designed drones that can target and destroy unwanted plants in Star-wars style. These drones are equipped with controllable mirrors that can receive and deflect powerful laser beams. By positioning the mirrors, the drones are able to aim the laser beam onto unwanted plants and annihilate them. The lasers are powerful enough to cause complete destruction without sparing any part, be it leaves, stems, flowers, root ball or seedpods. To generate the laser beams, high intensity light sources are installed at the border of the field. These lasers are aimed towards the space over the field. Drones flying within this space capture images of plants and use image processing to identify whether the plants are unwanted. Upon identifying the plants to be weeds, the drones then position their mirror to deflect the laser beam onto the weeds destroying them within seconds.